Doctors around the country are already seeing evidence that climate change is affecting the health of their patients. 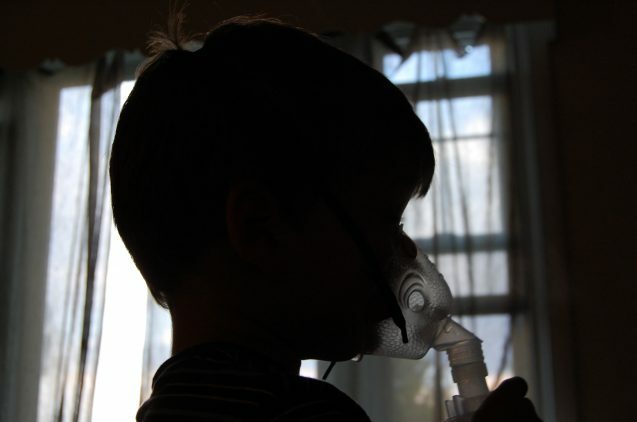 In Florida, people are asking for more medication; as heat waves aggravate their medical conditions, such as asthma, they are using up their usual prescriptions faster. In Pennsylvania, some are contracting diseases, such as Lyme disease, that they never had to worry about before. A Virginia pediatrician’s young son fainted from heat at summer camp. The U.S. Global Change Research Program warns that “Current and future climate impacts expose more people in more places to public health threats.” As the climate continues to warm, precipitation patterns change, and extreme weather events increase, regions that already experience dangerous weather conditions are going to see more of them, and there will be new, unprecedented health threats. The World Health Organization projects that from 2030 to 2050, climate change impacts will cause 250,000 more deaths globally each year, mainly from malnutrition, malaria, diarrhea, and heat stress. And while there may be fewer deaths from cold and more food production in some areas, the overall impacts of climate change will be undeniably negative. This is because climate change not only affects health, but also the social and environmental conditions that influence health—clean air, safe drinking water, adequate food and secure shelter. The average temperature in the U.S. has risen between 1.3˚ and 1.9˚F since 1895, when record keeping began. Most of that increase has occurred since 1970. Even this seemingly small amount of warming has resulted in more heavy rainfall, drought, heat waves and intense hurricanes. Some scientists project that by 2100, average global temperatures will rise 5.2˚F over the 1901-1960 average. In the United States, this is expected to bring more winter and spring precipitation in the northeast, and increases in the frequency and intensity of extreme precipitation everywhere. Higher temperatures will likely lead to earlier snow melt, more precipitation falling as rain rather than snow, and more evaporation, thus increasing the risk of short-term and long-term drought. Hurricanes and heat waves will be more intense. With rising temperatures, more people will suffer heat cramps, heat exhaustion, hyperthermia (high body temperature) and heat stroke as days that are unusually hot or cold for the season hamper the body’s ability to regulate its temperature. Prolonged exposure to heat can exacerbate cardiovascular, respiratory and kidney diseases, diabetes, and increase the chance for strokes. A higher incidence of kidney stones has been linked to warmer temperatures, likely because dehydration produces a concentration of the calcium and minerals in urine that create kidney stones. Some segments of the population will be more vulnerable than others to climate change health risks, depending on the region and social conditions. Older adults, especially those who live alone, are immobile, or have pre-existing conditions, are particularly susceptible to excess heat. The World Health Organization estimates that, globally, 38,000 elderly will die from heat exposure between 2030 and 2050. Children are at high risk because they spend more time outside running around or playing sports, and are dependent on adults to keep them safe. Pregnant women are more vulnerable as well—some research links higher temperatures to a greater risk of premature births and stillbirths. 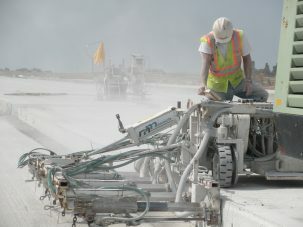 People whose jobs require them to be outside, such as farm or construction workers, will be regularly exposed to hotter temperatures. Low-income communities and some communities of color may be at risk because they lack air conditioning or live in areas where the urban heat island effect (when dark urban surfaces such as buildings and roads absorb heat) raises temperatures higher than surrounding areas. Heat waves can also exacerbate mental illness, and some studies have found a link between high heat and an increase in violent crime. Higher temperatures can promote the formation of ground level ozone, and less moisture in the air enables it to remain in the atmosphere longer. Ground level ozone, the main ingredient of smog, occurs when fossil fuel pollutants and natural emissions from vegetation or wildfires react chemically with sunlight. Ozone exposure can cause shortness of breath, aggravate respiratory illnesses such as asthma, and lead to premature death. Scientists are not yet sure if climate change will put more particulate matter (“PM,” a mix of tiny particles and liquid droplets) into the atmosphere, because changes in precipitation, humidity and the mixing of air influence PM levels. 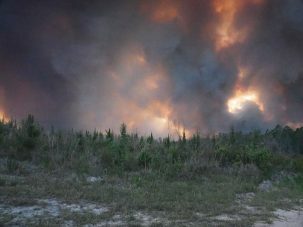 However, wildfires, a major source of PM, are expected to increase as warmer springs and summers and earlier snowmelt cause dry conditions. PM, especially particles smaller than 2.5 micrometers in diameter, can be inhaled deep into the lungs and even into the bloodstream. Exposure to PM has been linked to premature death for those with heart or lung diseases, heart attacks, irregular heartbeat, cardiovascular disease, lung cancer, asthma and chronic obstructive pulmonary disease. A 2017 study of 60 million seniors in the U.S. found that exposure to PM2.5 and ozone increases the chance of premature death, even at levels less than the current standards set by the Environmental Protection Agency to protect the public. As droughts increase, heat waves will likely intensify and can deplete water resources. In coastal areas, drought may lead to saltwater intrusion (when ocean water infiltrates the groundwater), which can contaminate the drinking water supply. Water quality may also suffer if a reduced flow of water increases the concentration of pollutants in the water, or when warmer temperatures promote pathogen growth. Drought also worsens air quality because it sets the stage for dust storms and wildfires, which produce particulate matter. Warmer temperatures, increased CO2 in the atmosphere, and more precipitation stimulate plant growth and can lengthen the growing season. This will affect the amount, distribution and timing of pollen production, which can aggravate asthma and other allergy sensitivities. Dryer areas of the U.S., however, could have shorter pollen seasons due to plant stress and this could reduce allergens. Flooding due to heavy precipitation, hurricanes and coastal storms will have numerous health impacts. 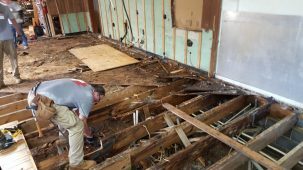 People can be injured or die while preparing for a disaster, in the midst of one, or cleaning up afterwards. Floods can also contaminate water, which may produce gastrointestinal problems and illnesses. Moreover, the stress of loss and disruption during extreme events can worsen pre-existing medical conditions and aggravate mental health. If there is more precipitation and moisture outdoors, the indoors could also become damper, increasing indoor mold and dust mites which exacerbate asthma and bronchitis. Rodents, which trigger allergies and carry pathogens such as hantaviruses, could be driven indoors by extreme precipitation. Climate change will also impact waterborne diseases such as norovirus, rotavirus and giardiasis. Warmer air and sea surface temperatures, precipitation and runoff, coastal flooding, hurricanes, and storm surge all affect the growth, spread, and severity of the pathogens and toxins that cause water-related illnesses. Rising temperatures, heavy rainfall and runoff containing nutrients (such as from fertilizer and sewage treatment plant discharges) promote the growth of cyanobacteria in waterways. 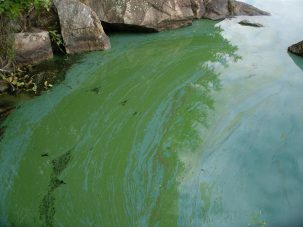 These blue-green algae produce toxins that can cause liver and kidney damage, gastrointestinal illness and neurological problems, especially in children. People can be exposed to these toxins through swimming or boating in them, inhaling them, drinking polluted water or eating contaminated seafood. Red tide algal blooms in the ocean can cause respiratory illness and eye irritation, especially in people with preexisting respiratory diseases. Vibrio bacteria, which may contaminate shellfish and recreational waters, are more prevalent when sea surface temperatures and sea levels rise, especially along coasts. They can cause eye, ear, and wound infections, diarrhea, and death. When excess precipitation, runoff, flooding or storm surges overwhelm wastewater and sewage infrastructure, more pathogens, chemicals, and toxins from algae can overflow into recreational waters and fishing areas, or contaminate drinking water. Flooding and storms can also damage infrastructure and cause power outages that may affect transportation and thus access to healthcare. The Culex mosquito that transmits West Nile virus. Vector-borne diseases—those transmitted by the bite of insects such as mosquitoes, ticks and fleas—are expected to increase as temperatures warm and precipitation patterns change. Insects will emerge earlier in the season and range further north and to higher elevations; in addition, a longer growing season increases the amount of time humans will be exposed to them. Vector-borne diseases found in the U.S. include tick-borne Lyme disease, spotted fever rickettsiosis, ehrlichiosis and babesiosis; mosquito-borne West Nile virus, malaria, dengue and chikungunya virus; and flea-borne plague. More precipitation is favorable to mosquitoes that spread the West Nile virus, which need only a thimble-full of water to breed. The WHO predicts that malaria will kill an additional 60,000 people around the world between 2030 and 2050 because warmer temperatures enable the parasite that causes malaria in mosquitoes to reproduce faster and prompt mosquitoes to take blood meals more often. In addition, the reproductive, survival and biting rates of the Aedes aegypti mosquitoes that carry dengue and yellow fever are strongly influenced by temperature, precipitation and humidity. Thomson and the Earth Institute are involved with The Northeast Regional Center for Excellence in Vector-Borne Diseases, which is funded by the Centers for Disease Control. It is attempting to understand the different vectors in New York State that transmit disease by training new entomologists to identify the various mosquitoes in the area and determine whether or not they are transmitting disease. 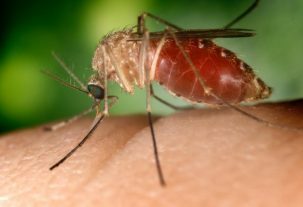 While climate change is likely to have an influence on the infection patterns and geographic range of vector-borne diseases, other factors—such as how pathogens evolve, how land is used, demographics and a population’s ability to adapt to climate change—will also play roles in determining the impacts of the diseases. Climate change may also affect the prevalence of diseases transmitted by animals. The hantavirus broke out in the southwestern U.S. in 1993 after a six-year drought ended with heavy snows and rainfall. The excess precipitation allowed plants and animals to proliferate, which resulted in an explosion of deer mice. They may have carried hantavirus for years, but suddenly, many more mice were coming into contact with humans, who became infected through contact with infected mice or their droppings. Some scientists believe climate change also factored into the Ebola outbreaks of West Africa a few years ago. Dry seasons followed by heavy rainfalls produced an abundance of fruit. When fruit was plentiful, bats and apes (the suspected carriers of the Ebola virus) likely gathered together to eat, enabling the disease to jump between species. Humans then contracted the disease by eating or handling infected bats. Because climate change is expected to promote the growth of pathogens and toxins, foodborne illnesses will likely increase. 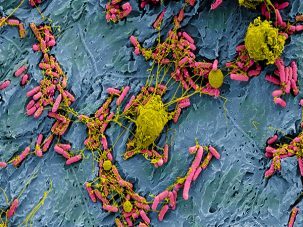 Eating food contaminated by the pathogens E. coli, Salmonella and Campylobacter—all of which thrive in warm, wet conditions—can cause diarrhea and other gastrointestinal issues and may even be life-threatening. Warm and wet conditions also prompt the growth of molds such as mycotoxins on crops; this can also cause illness or death if consumed. Untreated sewage or manure in floodwaters or runoff may contaminate the water used for irrigation and ultimately the crops that are irrigated. Although increased CO2 in the atmosphere will stimulate plant growth, if CO2 levels exceed 540 ppm (current levels are 408 ppm), they will alter the nutrients in many crops, increasing carbohydrate content while decreasing protein content. In addition, higher CO2 levels could reduce the amount of important elements—such as iron, zinc, calcium, magnesium, copper, and phosphorus—in major crops. These changes would impact human nutrition and health. 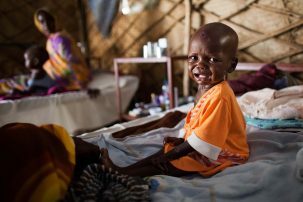 The WHO predicts 95,000 children will die of malnutrition between 2030 and 2050. Warmer ocean temperatures will likely cause faster metabolism in fish and mammals, resulting in their bodies taking up more mercury. 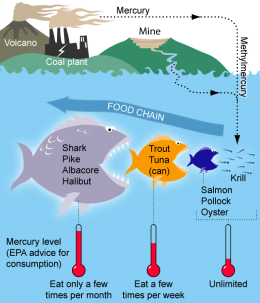 Mercury pollution, released into the air from the burning of fossil fuels, falls into water bodies or washes into the ocean. If the current rate of fish consumption continues, humans would end up increasingly exposed to mercury, which can have toxic effects on nervous, digestive and immune systems, and on lungs, kidneys, skin and eyes. Even small amounts threaten the development of young children and those in utero. Extreme weather events may also disrupt or damage the infrastructure for food distribution, resulting in spoilage and reduced access to food. The health impacts of climate change will vary, depending on a community’s exposure and sensitivity to the risks, and its capacity to adapt and respond to the changing conditions. Socioeconomic factors, such as living conditions, economic resources and access to health care will also either moderate or exacerbate health risks. Thomson is involved in a new program launched by Columbia University called Global Health Security and Diplomacy. Linking the Columbia University Medical Center Department of Pediatrics, the School for International and Public Affairs, and the International Research Institute for Climate and Society, its goal is to prepare professionals to better manage large-scale and destructive threats to population health that have the potential to undermine society. These include diseases such as Ebola and Zika as well as the social destruction caused by weather, such as Hurricane Maria in Puerto Rico, and climate events like the drought in Syria. The Centers for Disease Control recommend actions that communities can take to protect their populations from health risks. Development in flood-prone areas should be restricted, green infrastructure and permeable pavement can help manage stormwater, and public health agencies need to regularly monitor drinking and recreational waters for contaminants. 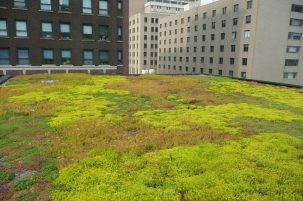 Early warning systems enable people to take action when heat waves are expected; green roofs and shade trees cool buildings and streets; and access to public drinking fountains, swimming pools and cooling centers help people stay cooler. 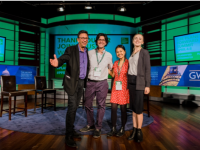 Air quality monitoring is needed to make it possible for vulnerable individuals to avoid exposure to unhealthy air, and enhanced public transportation can lessen pollution from traffic. Mosquito control programs help reduce the risk of vector-borne diseases, and the public needs to be educated to use insect repellent and cover exposed skin with clothing. Columbia University is one of the hosts for The Consortium of Universities for Global Health’s annual conference. 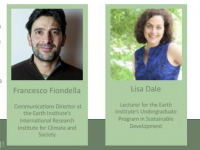 On March 15, a half-day session named Climate Change and Health Priorities for Vulnerable Populations will explore climate change and health priorities for vulnerable populations around the world. It is open to the public and free, but registration is required. Climate change has caused more changes than any other hazardous that had been happened in the earth. we humans are not aware of the climate changes. The rise of water is globally increasing day by day beyond the ocean level. 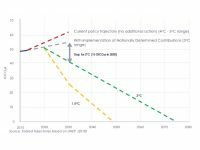 The blog related the climate changes and its effects. Thanks for providing valuable information.